Today we celebrated International Nurses Day at the Art of Caring exhibition in St George's Hospital, Tooting, London, UK. The exhibition looked fabulous on the walls, and we had plenty of visitors stop to take a look. 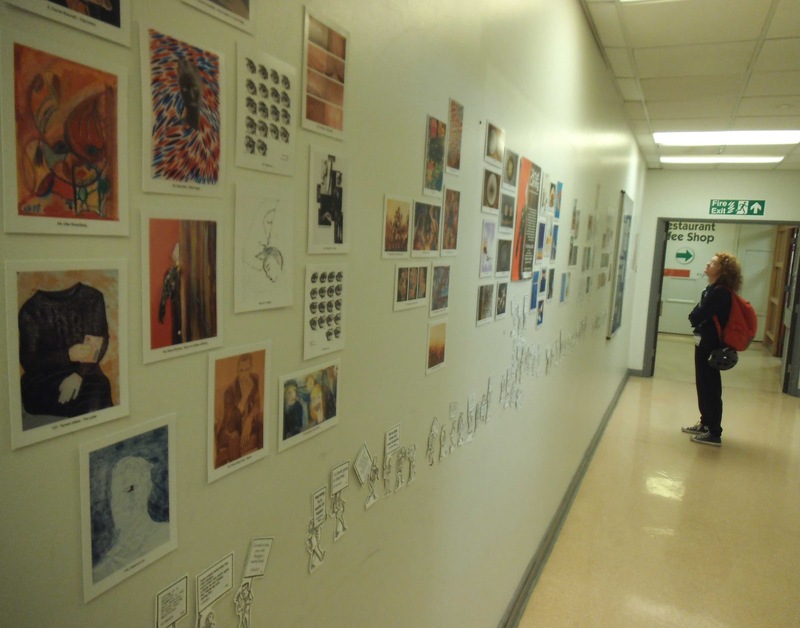 The postcard artworks have been exhibited together in small groups at eye level. 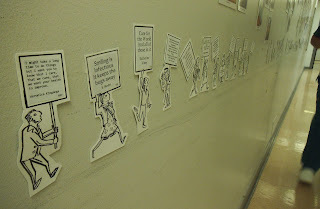 The haikus and aphorisms are written on placards carried by small figures underneath. The Art of Caring received 330 submissions on the subject of Care and Caring from more than 170 artists. Much of the work was influenced by this year’s International Nurses Day theme ‘Health is a Human Right’. Today the Chief Nursing Officer for England, Professor Jane Cummings, thanked all nurses for their significant contribution in providing safe, effective, compassionate care for patients and those they care for. "It fills me with pride when I see the fantastic work and world class care provided by nurses across the country and International Nurses Day (IND) is the perfect opportunity to recognise their amazing contribution to health and care globally." 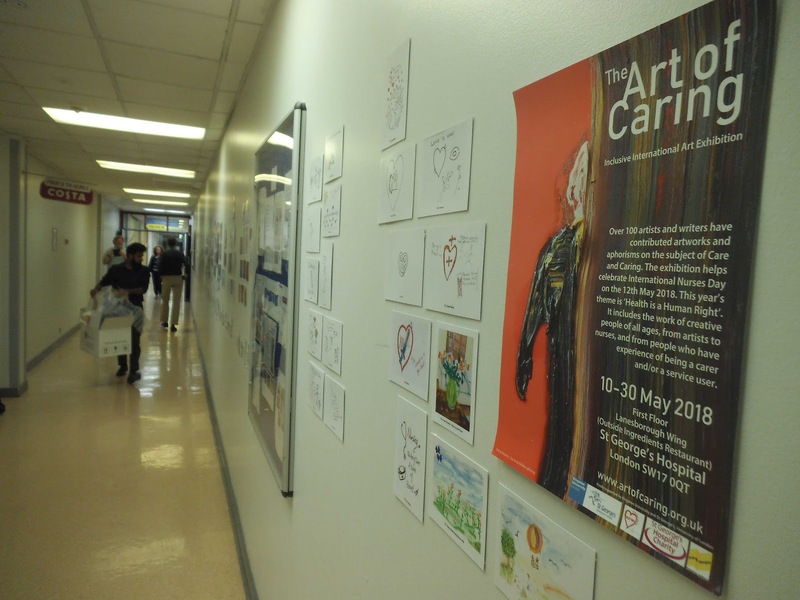 You can see the Art of Caring exhibition outside Ingredients Restaurant, First Floor, Lanesborough Wing, St George's Hospital until the 30th May 2018. The restaurant has over 12,000 visitors a week so I'm sure you'll be rubbing shoulders with nurses, doctors, porters, and patients as you view the artwork. 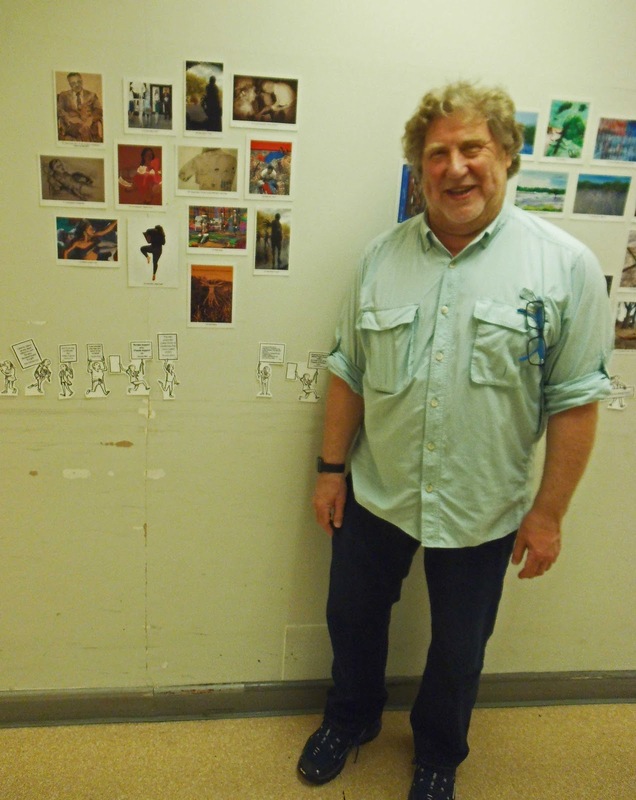 A portfolio of images from the Art of Caring exhibition at St George's Hospital can be viewed HERE. Thank you Bryan Benge, Alban Low and Anna Bowman for setting up the exhibition on the 10th May.